Several aspects of the Mueller Russia probe’s latest bombshell plea deal could stymie any pardon granted by the president. But Trump may not care. Some attorneys also believe the deal Mueller gave Manafort — accepting a guilty plea to just two of seven charges he was facing — signals that the former Trump campaign chief didn’t just agree to answer prosecutors’ questions but produced answers Mueller’s team found useful to some aspect of a case it is actively pursuing. “By admitting to all of the facts in both indictments, the conviction is pardon proof in the sense that if Trump ever pardoned Manafort, a state attorney general could take Manafort’s admissions in the plea and use them to indict Manafort for state charges,” former Watergate prosecutor Nick Akerman said. The steps Mueller’s lawyers have taken mean a pardon won’t likely be a particularly effective way of discouraging Manafort from offering Mueller whatever Manafort has that might be incriminating toward Trump, Trump Jr., Kushner or others. Some observers believe Trump’s lawyers may consider a Manafort pardon such a bad idea that they would be unwilling to go to those lengths to craft one, particularly because Mueller and Democrats in Congress could see the move as obstruction of justice. Manafort’s agreement on that point could be critical to pursuing state cases against him if Trump grants a federal pardon. 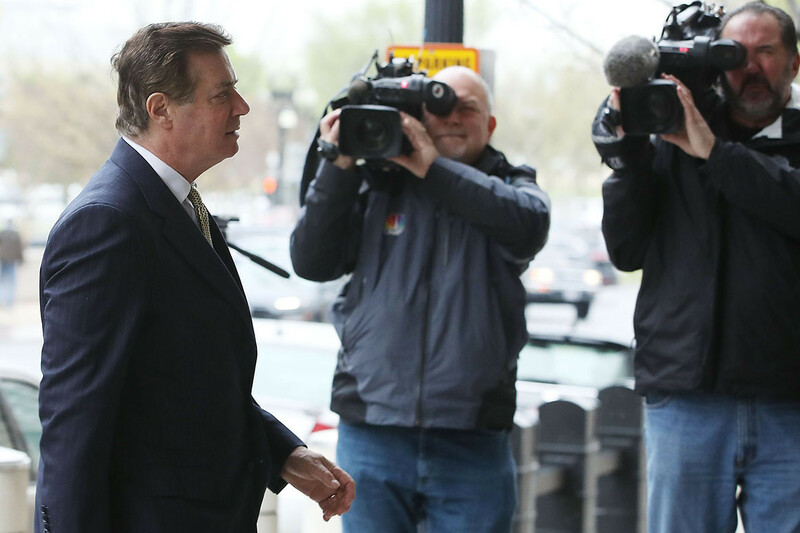 Many of the other charges against Manafort, like money laundering, were incorporated in the broad “conspiracy against the United States” charge he pleaded guilty to Friday. Because of laws in some states aimed at preventing state and federal prosecution for the same crimes, that wording might be enough to block some states from prosecuting him over those issues. However, as Weissmann emphasized, Manafort’s admission to the bank fraud allegations was not part of any specific charges he pleaded guilty to Friday. Other uncertainties remain about a potential pardon. It might nullify Manafort’s obligation under the deal to cooperate with the feds, but a pardon could also make it easier to force him to testify in front of a grand jury since there would no longer be a threat of federal criminal prosecution. However, the state prosecution threat would likely still be viable. It’s unclear whether a federal judge would force Manafort to testify under those circumstances. It seems likely he would be required to testify, with the consequence for any state prosecution to be sorted out later. It could also be tricky for Trump to block any forfeitures of property or money Manafort has agreed to. Experts say the forfeitures don’t usually kick in formally until a defendant is sentenced. Manafort’s sentencings could be months or years away. Language in Manafort’s plea documents seems to leave open the possibility that prosecutors could bring civil litigation to take the funds and property even if the criminal proceedings come to an abrupt end. “The pardon power does in fact extend to any sort of penalty imposed by the government, civil or criminal. A lot of early cases involved pardons to release ships that had been forfeited in what we would now regard as civil process,” Love said. But others say Trump’s authority to do that through clemency is less clear. He might have to order his Justice Department to abandon such an effort. Another question is whether it’s ethical for prosecutors to try to structure a plea deal in a way that seems intended to frustrate the president’s constitutional power to issue pardons.